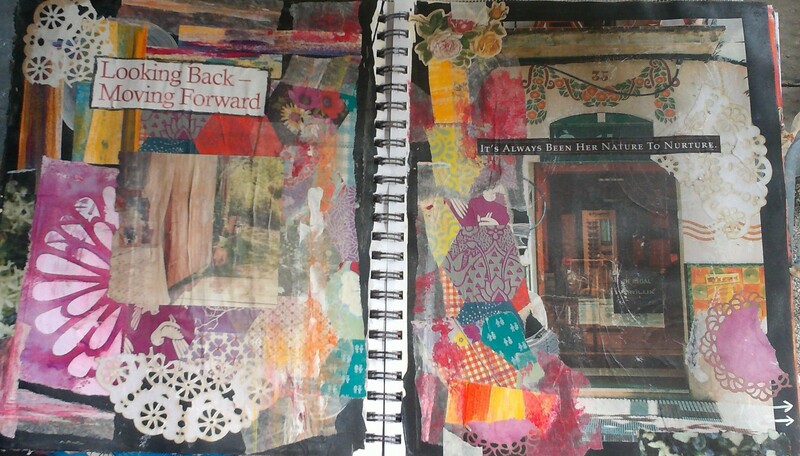 It’s rare for me to create a journal page using only one medium; this spread was done using only collage (I did paint the background with black gesso, but that doesn’t really count, does it?). Lots of lovely colours, textures and interesting things to look at! Thank you! Creating this page was lots of fun!